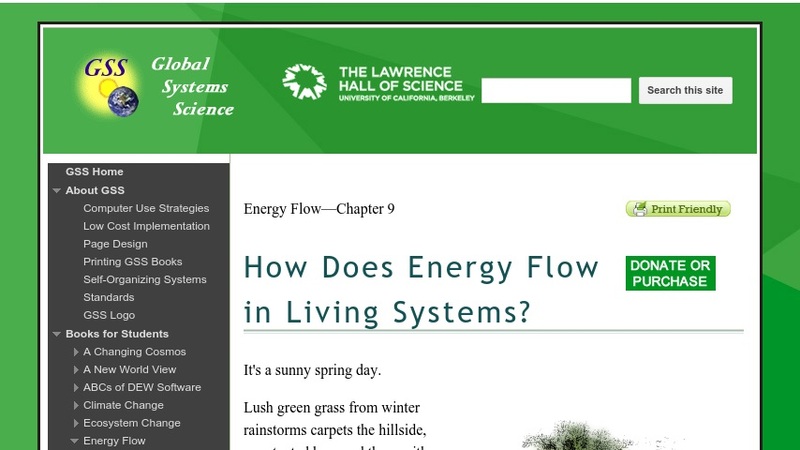 This textbook chapter describes the role photosynthesis, food webs, and fossil fuels in the movement of energy through the biosphere. The resource includes a student investigation, links to current news articles, and an essay-based unit assessment. A teacher's guide supports classroom use. This is chapter 9, the last chapter, in the unit, Energy Flow, exploring the transfer of energy between the atmosphere, oceans, land, and living things over short and long timescales. The resource is part of Global System Science (GSS), an interdisciplinary course for high school students that emphasizes how scientists from a wide variety of fields work together to understand significant problems of global impact.